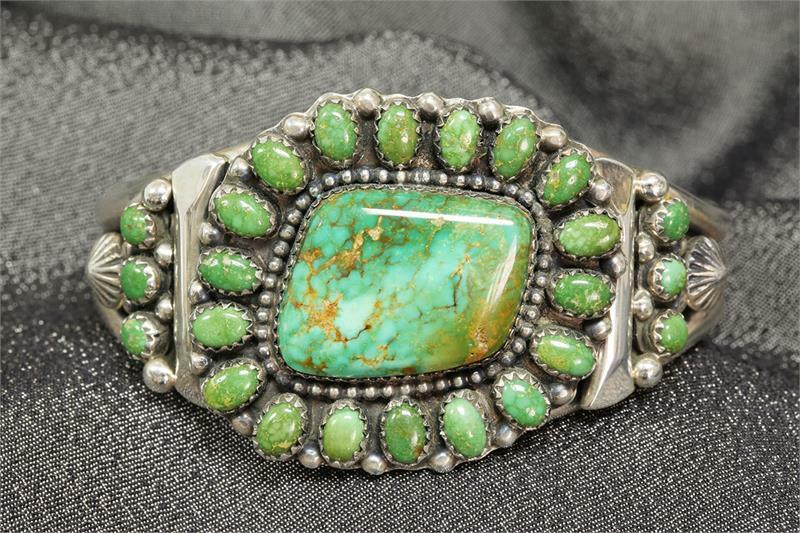 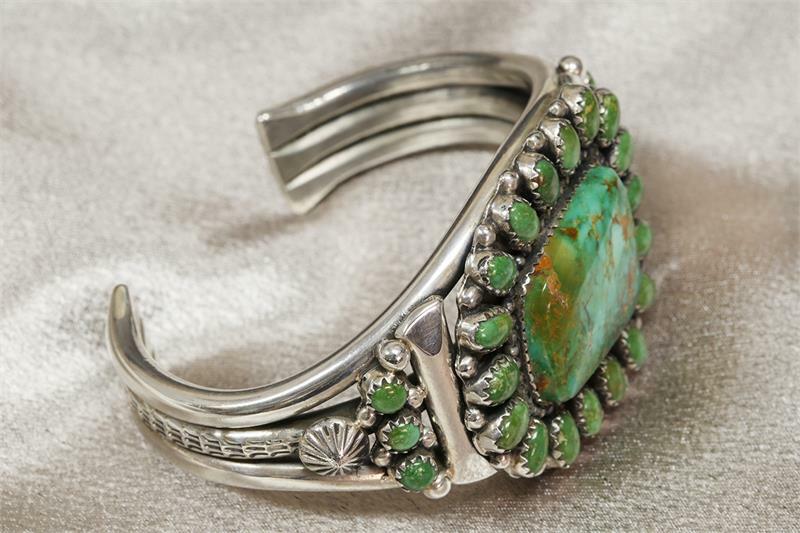 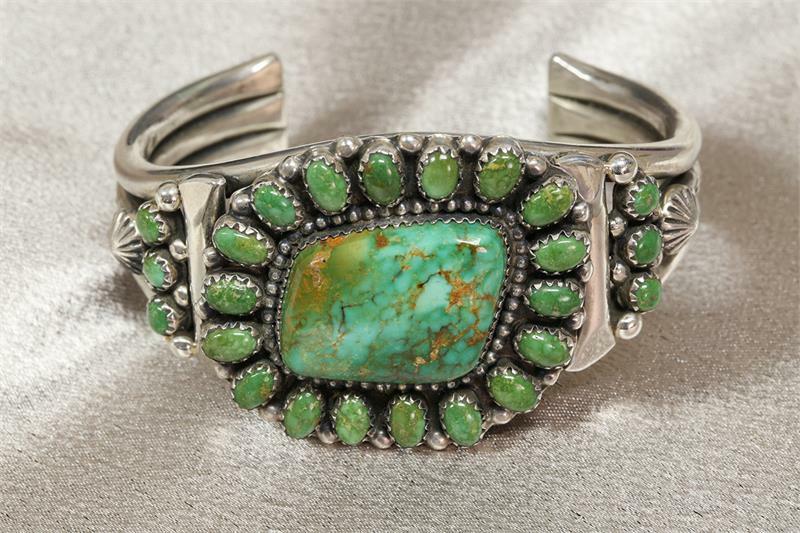 Jeanette Dale (Navajo) Sterling Silver Cuff with Green Turquoise in Cluster Pattern. The cuff has handmade bezels and twistwire. 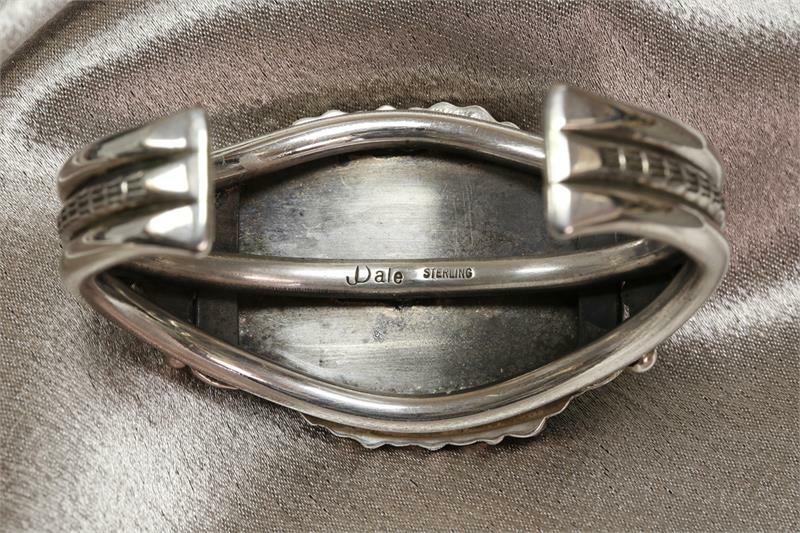 The center cluster measures 1 5/8" by 1 1/2". 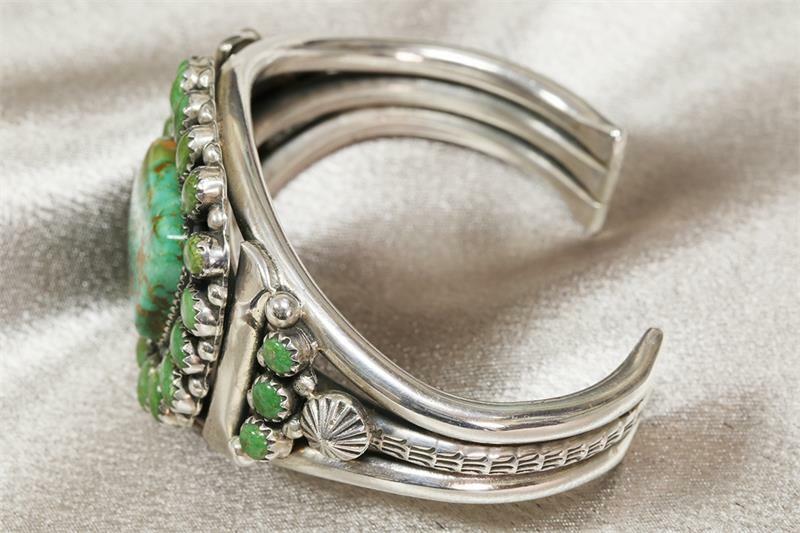 The cuff measures 5 1/16" inside and has a 1 3/8" opening.